Kentucky Performance Products: Is My Horse Cold? One polar vortex might be behind us, but there’s plenty of winter ahead — at what temperature will your horse feel cold? 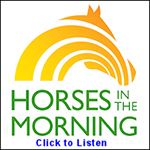 If your horse has a thick winter coat and some shelter, they don’t mind the cold! 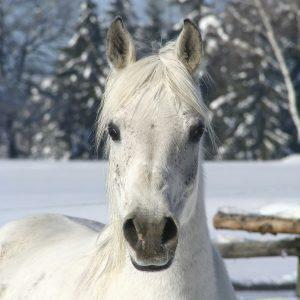 In the absence of wind and moisture, horses tolerate temperatures at or slightly below 0° F. If horses have access to a shelter, they can tolerate temperatures as low as -40° F. But horses are most comfortable at temperatures between 18° and 59° F, depending on their hair coat. About Kentucky Performance Products, LLC: Are you managing a horse with EPM, Lyme disease or some other neurological disorder? 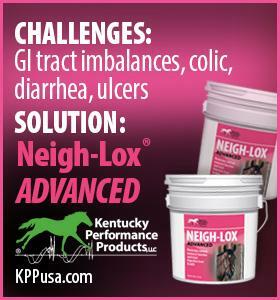 Do you have performance horses that seem unwilling to engage and are muscle-sore after work? Are you treating a horse or foal that is deficient in vitamin E and need to get their levels up fast? 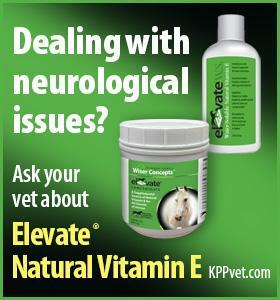 Ask your vet if Elevate® W.S. can help. The unique formula of Elevate W.S. is the most bioavailable source of natural vitamin E (d-alpha-tocopherol) on the market today. Developed to increase circulating blood levels quickly (within 3 days), it has become the product of choice for veterinarians managing horses and foals with neurological and muscular disorders, low vitamin E levels, compromised immune response, or poor fertility rates. The natural vitamin E in Elevate W.S. has undergone state-of-the-art processing that converts it to a water-soluble molecule, which is absorbed more efficiently. When administered, Elevate W.S. will quickly increase circulating blood levels of vitamin E.
Elevate W.S. vitamin E is readily available and effective in crossing the blood-brain barrier, which makes it helpful in the management of neurologically challenged horses. For more information, visit KPPvet.com or call 859-873-2974.